"High-rising homegrown mobile phone player Cherry Mobile is generating considerable buzz as it is set to enter the smart phone market with its Microsoft-licensed Windows Phone known as the Cherry Mobile Eclipse. 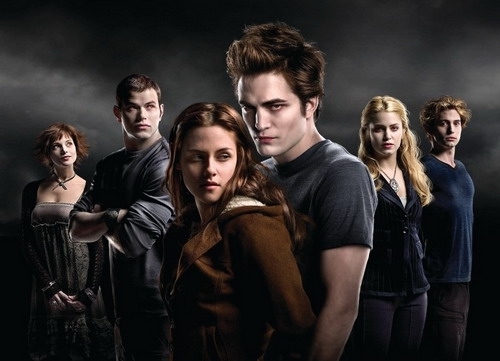 Adding to the excitement is Cherry Mobile's special tie up with the blockbuster "Twilight" movie franchise, with the third film in the series, "The Twilight Saga: Eclipse", in theaters on June 30, 2010." As many of you are no doubt huge Twilight fans, I'm absolutely sure that you can't wait to move to the Philippines so you can buy Cherry Mobile's Twilight branded Windows Phone, the "Cherry Mobile Eclipse". While it may only be a Windows Phone 7 device, and thus will be extremely outdated in mere months, isn't it worth it to have your love of the Twilight series broadcast to everyone each time you take out your phone?!? waiting for the twilight fans to out themselves. Why does the Philippines get "only... a Windows Phone 7 device"?? I can't stand the movies -- I'm not exactly the target demo -- but I'd carry around the "Cherry Eclipse" stuff if I could start in on a real Win Phone 7 device! i think you meant to write Windows Mobile 6.5, rther than Windows Phone 7. Bought my CM Eclipse last June 20 and its doing good thus far. I'm no Twilight movie fan so I removed the crap stuff Cherry Mobile bundled it with. This video tour shows you what I have inside my box.